Previous Post:ELEZIONI POLITICHE DEL 04.03.2018. 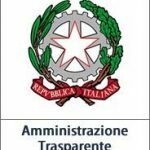 REVISIONE DINAMICA STRAORDINARIA DELLE LISTE ELETTORALI. Next Post:ALLERTA METEO PER RISCHIO IDROGEOLOGICO DALLE ORE 00.00 ALLE ORE 23.59 DEL GIORNO 02.02.2018.